Participants at one of Kidpower India’s first community education presentations! Kidpower Teenpower Fullpower International provides workshops in different communities through our Centers and Authorized Providers that organize and teach programs under our auspices with our ongoing mentorship and support. People who wish to take leadership in bringing Kidpower to their community also become instructors with our organization. If you are interested, please start by learning about becoming an instructor so you understand what is involved and whether you would work under the auspices of an existing center or whether you would need to establish a new center to teach our program in your area. Another option is to establish an Authorized Provider agreement as an individual or as an agency or business. In either case, please take time to consider whether Kidpower seems like a good fit for you, personally. All of our instructors, center directors, and authorized providers commit to upholding our mission, goals, and values; to maintaining our high quality standards and ethics; and to making a long-term investment of time and effort to be part of our organization. If you’re interested in the possibility of starting a Center or establishing an Authorized Provider Agreement, please read the information below. What Kind of Time is Required to Start a Center? Most of our Center Directors and Instructors have many other commitments and do this work part-time. While setting up a Center can generate income eventually, you must think of your involvement first of all as a cause you believe in rather than as a way to make money. Starting a Center or becoming an Authorized Provider does not mean you need to make this a full time career or that you need to provide a certain amount of service. It does mean that you will work under the auspices of Kidpower Teenpower Fullpower International, so that you can benefit from the track record and mentoring we provide. You will be required to uphold our mission, goals, and values and report to our Executive Director or a Trainer who she designates. Many individuals slowly bring Kidpower services to their communities while also having other full or part-time careers, family commitments, and other responsibilities. Please review all the information available about our organization, services, and also the business aspects of organizing and teaching workshops such as insurance, liability, materials, ongoing support fees, record-keeping, etc. Learn as much about our program and organization as you can by reading all of the About Us sections on our website, reading The Kidpower Book for Caring Adults and other publications, watching the free videos in our online Library, signing up for our free enewsletter, and taking a workshop if there is one you can travel to. Prepare a thorough written statement describing your background, education, work history, and reasons for wanting to start a center. Please see how to apply. Please clearly state you are also interested in becoming a Center Director or in establishing an Authorized Provider Agreement in addition to participating in the Certified Instructor Training Program. Initial Agreements: If you are interested in going forward and we believe you demonstrate skills and qualities consistent with our Certification Standards, we’ll work together by phone and email to establish clear agreements. At this stage, you would complete a Center or Authorized Provider Agreement in addition to the Instructor Application and Instructor Training Agreement. Service Delivery Plan: Next, we’ll make an agreement about your service delivery plan, taking into account how far your area is from other centers as well as your own goals and prior experience. The plan will define your geographic service area, though it will not grant you exclusive entitlement to conduct programs in that area. You will also not be exclusively confined to that area: you can get permission to offer services in other areas as long as they check first to ensure that existing agreements and relationships won’t be affected. Our goal is to increase access to our services in cooperative rather than competitive ways while keeping our quality high as we grow. Ask us questions. We provide ongoing consultation to help our instructors set up and run successful programs. You are responsible for covering any long distance telephone, word processing, photocopying and postage costs incurred in the process, but otherwise, this consultation is covered by your training and support fees. Spread the word in your community. As you start building a base of potential students as well as potential donors, we can provide samples of fundraising and marketing materials used by other centers. We’ll help you figure out how to adapt them to best meet your own needs. Decide how to set up your fees and services. Centers and Authorized Providers have the right to decide how to set workshop fees for their communities. We do provide a scale of self-supporting fees. Often, people say this is too much for people to pay, but we’ve found that setting the fees too low can be a big mistake. In communities around the world, we have found that it works best to set fees on a break-even basis that includes all overhead and then to set up a generous sliding scale scholarship policy, supported by donations, so no one is turned away for lack of money. No matter what fees you establish, you will need to invest time in community education to help people understand the value of this training. 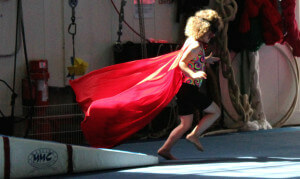 Start teaching Kidpower skills. This begins during the Fieldwork Training phase of your instructor candidacy, and we hope it lasts for many satisfying years! All new Center Directors or Authorized Providers will be given a supervisor for two years who will give them step-by-step guidance in learning to teach and in organizing and marketing workshops. After the two-year start-up phase, you will receive ongoing support from the Executive Director and Central Office and may continue to work with your supervisor, if needed. Psychological Review: We have been advised by many therapists that the best psychological screening we can do is to work intensively with people as we do in our training and center development process. We also require a background check at the applicant’s expense in whatever forms are available in a given country as part of the instructor training application process. Conflict Resolution: Although we do our best to prevent conflict through having clear agreements and standards, disagreements and misunderstandings arise when people work together. We each agree to communicate any concerns directly to the person who is responsible — the trainer, executive director, or center director. If concerns remain unresolved, we each agree that we’ll put our concerns in writing.The Executive Director, Senior Program Leader Council, or a designated Board member can help to mediate conflicts. If communication breaks down seriously, we may choose to work with a professional mediator, sharing the cost between the Center and Kidpower Teenpower Fullpower International. A serious conflict that remains unresolved may then be brought to the Senior Program Leader Council, which will make a recommendation to the international Board of Directors, which has final decision-making authority. 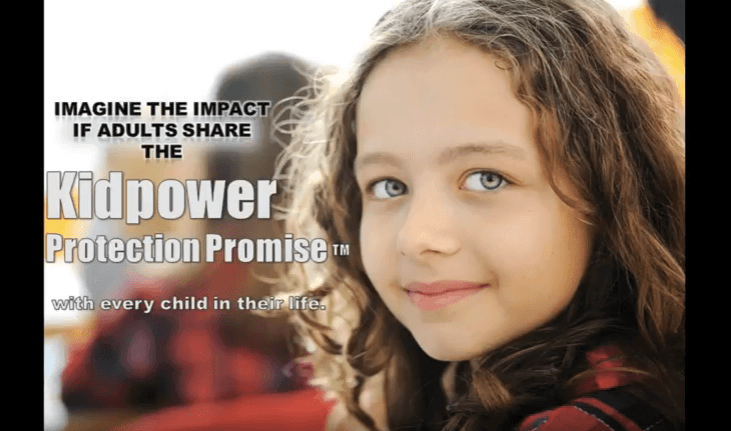 Whether they work as a Center, an Indivdual Authorized Provider, or an Authorized Organizational or Busienss Provider, every instructor certified by our organization is working under the nonprofit auspices of Kidpower Teenpower Fullpower International. Working under our auspices involves not just a commitment to teaching our skills effectively but also a commitment to conducting the business aspects of organizing and teaching in accordance with our values and standards as well as meeting local requirements. We provide much more extensive information and ongoing mentoring, in writing and through phone, email, and video-conferencing. We are happy to answer emailed questions and, after someone has submitted their written statement, paid their application fee, and are in the screening process. However, we want to provide the following information so that anyone considering working with Kidpower can deepen their understanding of how our nonprofit organization works. Kidpower provides licensing for use of our curriculum and certification for people to represent our organization, which means that we are vouching for people. This licensing and certification is specific to individuals who earn it and not like a business you can buy or sell. We encourage Centers and Authorized Providers to charge fees and raise funds for their time in teaching and organizing our workshops. If you have nonprofit or charitable status, you can often apply for grants or have people receive deductions for donations. 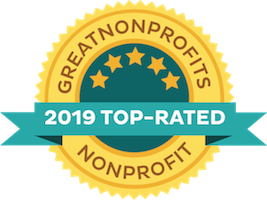 In the United States, all Centers and Authorized Providers are under the umbrella of our 501(c)(3) nonprofit organization until they become large enough to establish their own charitable organization. They can register in their different states under our nonprofit umbrella for a minimal fee and provide financial information quarterly. Internationally, the rules for charitable organizations or NGOs are very different in different countries. 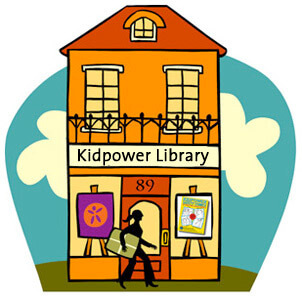 When it makes sense, we encourage people starting Kidpower Centers to work towards establishing a nonprofit organization or NGO in their country or to work under the umbrella of another NGO that we then make an Authorized Provider Agreement with, since this gives them the opportunity to get different kinds of funding. We provide guidance in how to seek funding from service clubs, businesses, foundations, individuals, and governments. If a separate nonprofit board or company is established to organize and teach workshops and provide other services, this board is bound by the Training and Center or Authorized Provider Agreements made with Kidpower Teenpower Fullpower International. We make a separate agreement with that board in addition to the agreements already in place. Local Centers and Authorized Providers have the right to decide how to set workshop fees for their communities. We provide a set of recommended self-supporting fees. Usually the first reaction people have is that this is way too much for people to pay in their community. We are a nonprofit organization and local instructors often seek funding to subsidize the costs of our services. We have found that it is a mistake in the long run to set the fees of our classes too low. Our experience in many different types of communities is that it works better to set fees on a break-even basis that includes all overhead and to have a generous sliding scale scholarship policy supported by donations so no one is turned away for lack of money. This makes it clear for everyone what the value of the program is. Community education is needed no matter what the fees are to help people understand the value of this training. Most of the time, people starting services in a new community get support and supervision long distance before and after coming to the Core Program Training, rather than importing instructors. Since we are a nonprofit organization, we can guide people in how to fund raise to cover these costs. It takes one trainer to conduct the Everyday Safety Skills workshops and at least two trainers to conduct the Emergency-Only Full Force Self Defense workshops. The training fees to our organization for sending trainers depends on distance and type of workshop. All travel expenses such as shuttle to the airport, airport parking, airfare or rental car, meals and lodging are also the responsibility of the person hosting the workshop. Trainers could stay in people’s homes provided that comfortable private space can be arranged. Meals do not need to be fancy as long as they are healthy and meet any dietary restrictions. We adapt the programs offered to fit the needs in each community. A number of Everyday Safety Skills Workshops can be offered on the same day. Programs that go on for several days can sometimes be arranged for a lower daily rate. In addition to the trainer fees and travel, the workshop organizer is responsible for all other costs involved with organizing and conducting the workshops including room rental which can often be donated, marketing, etc. 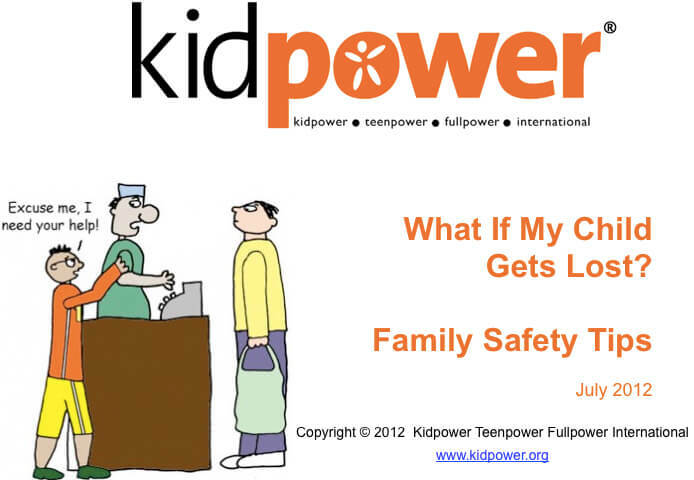 Centers and Authorized Providers are responsible for following Kidpower’s safety practices to ensure that students are safe before, during, and after workshops as long as they are on the premises. No instructor should be alone with children at any time- either another instructor, children’s parents, teachers, or other staff members should always be present. All students or their legal guardians (parents, organizations acting as guardians) must sign a release of liability for all full force workshops or any workshops focusing on physical self defense. All volunteers and staff in an organization must sign an agreement not to sue for anything that happens through their involvement. All Centers and Authorized Providers must require that anyone driving for the organization have their own automobile insurance coverage that would apply in case of an accident even if they are driving on behalf of our organization. In the United States and Canada, Centers and Authorized Providers will participate in our liability insurance coverage. This insurance covers liability only for accidents happening in classes to students. The costs of insurance may vary from year to year depending on our policy, but will be lower than what an individual could obtain separately for equivalent coverage. Outside the United States and Canada, Centers must have liability insurance coverage at a level appropriate for their country. Schools or organizations receiving services are responsible for their own liability and instructors should check first before signing any agreement that requires their accepting liability. Instructors are responsible for the cost of providing written information materials to students. We will provide electronic masters of all handouts and promotional literature for you to copy. If you wish to have information individually tailored for your area, then we can send editable copies in Word or Indesign. Books such as Manuals, Teaching Kits, Safety Comics, and Guides can be ordered and purchased online. We can arrange big discounts for bulk purchases. All of our publications are copyrighted, and a separate publishing agreement is required for publishing in print or electronically any of our curriculum. The Core Program Training fee covers support and licensing for the first year after someone comes to the program. After that, an annual Licensing and Support Fee is needed to help cover part of the cost of providing ongoing mentoring, coaching, use of curriculum, curriculum development, and reduced fees for publications and other training programs. Currently, when someone is actively teaching, this fee for Centers or Authorized Providers is 500 USD per year or 5% of all gross income (income before expenses) per year from the use of the Kidpower curriculum – whichever is greater. This amount will be adjusted annually for inflation. The 5% includes income from all sources except the Center Director or Authorized Provider’s own personal donations to the program–any other donations, fees, grants, sale of products except those purchased directly through the Central Office, etc. Licensing and Support Fees help to cover the costs of providing ongoing quality control; subsidized instructor training and conferences; ongoing program development; referrals; reduced insurance costs in the US and Canada; use of the programs names, content, and reputation; and ongoing coaching by experienced instructors. In the United States and Canada, Centers and Authorized Providers are covered through our two liability insurance policies—one is 2 million USD coverage for liability associated with teaching workshops and the other is an Officers and Directors policy. Individuals are still responsible for their own automobile liability and office premises liability and for paying worker’s compensation insurance as required in their states or provinces. In countries outside of the United States and Canada, Centers and Authorized Providers will purchase liability insurance to provide adequate coverage for the kind of work they are doing in their country and will take full responsibility for any liability to the organization resulting from their provision of services. For new centers and authorized providers in the United States and Canada, we waive your insurance costs for the first year you are in your certification process as long as you are not collecting fees for service and you are not teaching physical self-defense. If you collect fees for service in your first year, your insurance costs are 300 USD if you earn less than 6,000 USD a year and teach only Everyday Safety Skills (i.e. no physical self defense practice). For new centers in their second year, conducting only Everyday Safety workshops and earning less than 6,000 USD per year will pay a minimum fee of 300 USD a year for insurance. New Centers will pay a pro-rated amount to cover increased costs if their income is over 6,000 USD. Centers offering any type of physical self-defense practice with kick-pads or a full force padded instructor will pay a minimum fee of 1200 USD a year, which can be prorated based on when they start. After the two-year start-up period, an individual Center will pay an insurance fee of 1200 USD for up to 50,000 USD worth of services if full force work is conducted and 800 USD a year if only every day safety workshops are conducted. Centers earning more than 50,000 USD will pay an increasing amount of their share of the liability insurance cost depending on their level of income. These fees may need to be adjusted depending on insurance costs. All of the following information will be kept by Centers or Authorized Providers, and will be shared with Kidpower International upon request. Service records need to be kept of all names, addresses, emails, telephone numbers, and other relevant information such as types of information requested and what classes they took of all people who contact you. This information will be entered into a data base to use for future marketing and will submitted to Kidpower upon request. Annual statistics will be kept of the numbers of people served in each program. Employment records need to be kept of who was paid for what type of activity for your reports to state and federal agencies for individual tax purposes and for whatever worker’s compensation requirements you have in your state or country. Financial records need to be kept of the amount and source of income you receives and the amount and type of each expense you incur. The form we use in the United States is based on the categories required for our Internal Revenue Service (IRS) nonprofit reports. The IRS requires that we provide the names of contractors and major donors. We are flexible about the type of bookkeeping system you use as long as clear records are kept so that we receive this information in the format we need. As part of the training and support fees, we provide ongoing consultation to help people set up and run successful programs. This consultation is provided at no additional charge. However, people are responsible for their own expenses such as computer, internet, photocopying, and postage costs.We provide samples of successful marketing and fundraising materials and help people to adapt these materials for their own situations. Center Directors or Authorized Providers who are paying others to teach or do other work are responsible for meeting all legal requirements in their state and country, including labor laws, worker’s compensation insurance, payroll taxes, etc. That the individual to be trained has an established position within this agency, successfully competes our application process, and signs an Instructor Agreement with Kidpower. That the head of the agency who has the authority to make legally-binding long-term commitments signs the Authorized Provider Agreement spelling out the use of the program, the need for follow-up training for certification, and what happens if a Certified Instructor leaves the agency.